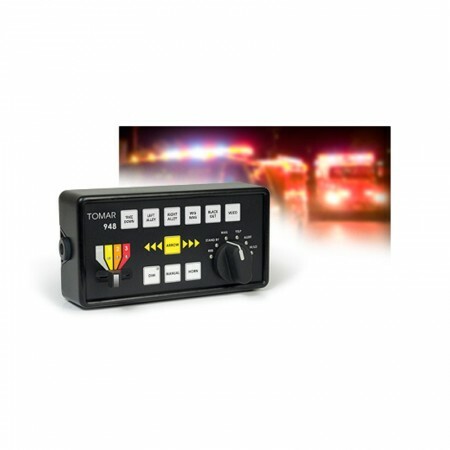 943 Digital Switch Box - Blue Max Lighting & Emergency Equipment Ltd. 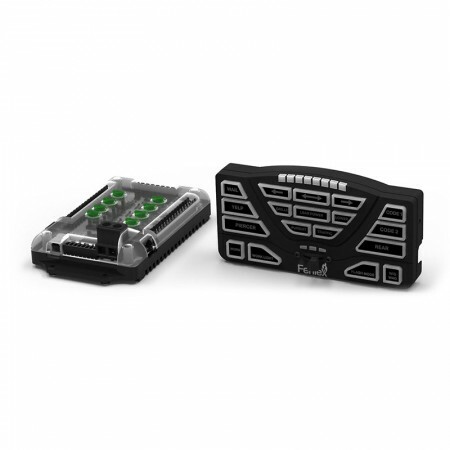 The 943 Switch Box is a compact, programmable, full function lighting controller. The 943 Switch Box is a compact, programmable, full function lighting controller featuring two warning mode switches, two auxiliary switches, a step through arrow switch, a dedicated dim switch that can be used as a third auxiliary switch and a progressive system off switch. The switch panel incorporates LED backlighting and LED switch indicator lights for easy day or night readability. 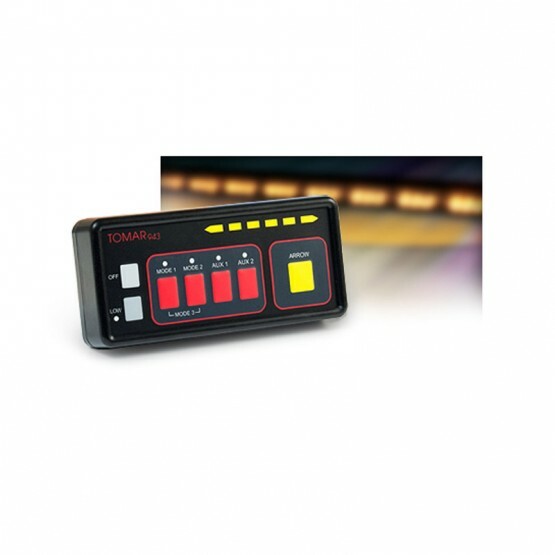 943 BracketA six LED indicator panel provides visual indication of warning mode, left arrow, right arrow or center out activation. Each switch is rated for 5 amps with a system total of 12 amps. An optional universal mounting bracket is available. 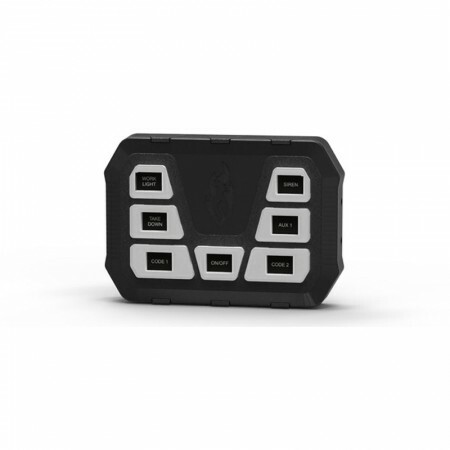 With the optional Bluetooth add-on, you can control the features from your phone!